Bulb holders for led bulbs. Such as 1156, 1142, Festoon and Bay15d type fittings. 1x 1142 base. For bulbs with parallel pins and dual contacts. the 2 wires are positive and negativ..
1x 1156 base. For bulbs with parallel pins and a single contact The base is negative and the ..
1x 1157 base Bay15d All the 1157 series bulbs will fit in the base. Dual contact offset pins. 2 w.. 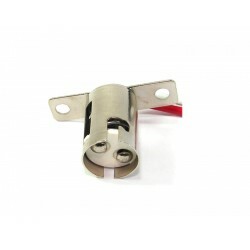 Led festoon bulb holderThis Led Festoon bulb holder can take the 31mm, 36mm bulbs.The bulb i..